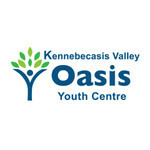 Kennebecasis Valley Oasis Youth Centre hasn't added a story. A number of brave Edgers will have the opportunity to rappel down the Hilton Saint John, in exchange for donations back to the amazing local non-profit organization, KV Oasis Youth Centre. Experience the once-in-a-lifetime opportunity to rappel down the Hilton Saint John! The Kennebecasis Valley Oasis Youth Centre is a non-profit organization that opened its doors in November, 2016 in Quispamsis, New Brunswick. Oasis strives to bring a brand new multifaceted entity to the Kennebecasis Valley area that gives our youth the resources they need to develop and learn new skills, engage with their peers, express themselves creatively and access medical attention if they are in need. Mental health is the single biggest issue facing young Canadians today. Oasis believes in providing preventative resources in hopes of our youth avoiding more serious problems in the future. Kennebecasis Valley Oasis Youth Centre is managing the funds for this campaign.